As Mr Kenny finally takes his leave as the longest-serving Fine Gael Taoiseach in the history of the State, he will be remembered as the man who steadied the ship and returned Ireland to economic independence. In a political world heavily populated with racing hares, Mr Kenny was the ultimate political tortoise. He has enjoyed an extraordinarily long political life and has proved virtually indestructible. The zenith of his career arrived in 2011 when he became the Taoiseach of the 31st Dáil, just 36 short years after he first set foot in Leinster House. To his great credit, taking control of the nation's destiny and public finances during the ravages of a vicious and relentless recession was not an easy task. He was handed the reins at time when no one else really wanted the job. At the time Mr Kenny's friendly, bright and inoffensive demeanour was a welcome antidote to the style of his predecessor Brian Cowen. He had a plan from the Troika and we trusted Enda as an honest broker. He stuck to the script. A large part of that script was for him to remain in the background, like a chairman who oversees the implementation of company policy via his Cabinet ministers. However, the people who get you there are not always the right people to keep you there. So, occasionally when former political allies and advisors became politically problematic, they were mercilessly dispatched before they became too toxic to have any significant bearing. Initially many people were surprised by Mr Kenny's rugged resolve, in particular how willing he was to make politically expedient decisions for public perception rather than rewarding long term loyalty. Those close to him knew better. No one ever becomes leader of a political party like Fine Gael without having a ruthless streak and the political astuteness that is required to get and stay there. Fine Gael had been repeatedly decimated in the polls before he became party leader in 2002, and Mr Kenny brought the party back to life and into power. When he finally secured the top job, he assiduously, methodically and sometimes ruthlessly directed a Government that implemented the EU/IMF bailout programme. The socio-economic roadmap set out a route to Ireland's recovery, but was orphaned by a demoralised and demolished Fianna Fáil/Green Party Government. That programme of austerity was adopted by Mr Kenny in 2011 with gusto. It was executed right through to the painful and bitter end with the steely determination that few political observers ever expected from the mild-mannered Mayo man. However, once the roadmap was completed, that man appeared lost. Ultimately, he was unable to capitalise politically on the significance of the work he had achieved. The reason that the progression of financial fixer to political visionary never occurred is because at his core Enda Kenny is a great chairman but not a great chief. The political consequences of his lack of direction were felt by Fine Gael when it went to the polls in 2016. Under his stewardship, Fine Gael urged a beleaguered electorate to "Keep the recovery going" in a general election campaign that nosedived from the outset. The notion that a recovery even existed was blamed on a D4-based bias. It only served to highlight the fact that there was an urban revival whilst little was happening outside of the major cities. The campaign angered the forgotten rural masses and annoyed the party faithful. As a result, Fine Gael took an almighty hammering on the doors and in the ballot boxes. However, it did not suffer to the same extent as its coalition partners. The Labour Party was cannibalised for the second time in two decades as a result of its coalition relationship with Fine Gael. The electoral demise of Fine Gael and Labour in 2016 facilitated a Lazarus-type revival for Fianna Fáil. It also allowed Sinn Féin to get a firmer foothold in the South and saw the greatest number of Independents ever elected to Dáil Éireann. But he returned to Government nonetheless. In government, there is an onus and an obligation to explain one's agenda and the policies that a government is pursing. For someone who is very well liked and personally very pleasant, he was surprisingly poor at communications. 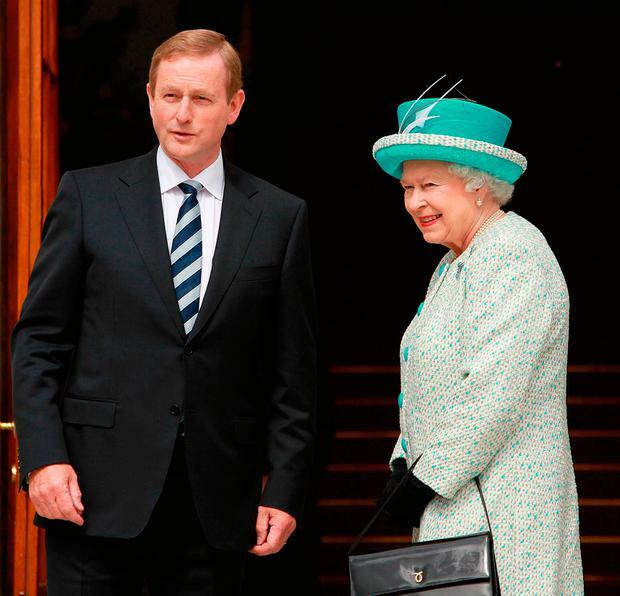 At times, when Enda was asked hard questions, his tone became puerile and somewhat dismissive. One to one interviews were a rare and rather uncomfortable phenomenon. After his second election as Taoiseach, he did not put much store in communicating his rationale around political priorities and he left the country in the dark. And we do not like the dark, do we Paddy? Phrases like "the best small country in the world to do business" and "Paddy likes to know" featured prominently in the earlier stages of his tenure in office. However, these were eventually dropped as they quickly became tiresome. Colloquial euphemisms jarred with the Irish people, who have a very low tolerance level for the Darby O'Gill stereotype. We winced at the 'Tura Lura Lura' patter Mr Kenny often used aboard. But overseas, they loved it. Enda was up and away with his underpants on over his trousers, cape flapping in the wind, high-fiving and back-slapping his way around the globe. At times, his youthful enthusiasm overtook him. For example, his pledge to be on the other end of the phone if anyone had a problem from America caused more than a few raised eyebrows back home. Well-meaning officials somehow always managed to get him back on the Government jet and calm him down with a can of Lilt and a bit of air guitar. He was the right man, in the right place at the right time. But the times changed and it took him a bit too long to move with them. Perhaps as a measure of the gratitude he deserved, he was indulged in ways that leaders from other parties would not have been (I'm just saying). As the Fine Gael leadership battle commences, it is difficult to identify or quantify what, if any difficulties have been caused within Fine Gael by the obfuscation over the past number of months. The consequences, whatever they may be, will be dealt with by his successor. Who cares? Not Enda! Job done. High five! Mandy Johnston The difference between an act of faith and a leap of faith is just one word. The chasm between the two, however, is colossal.